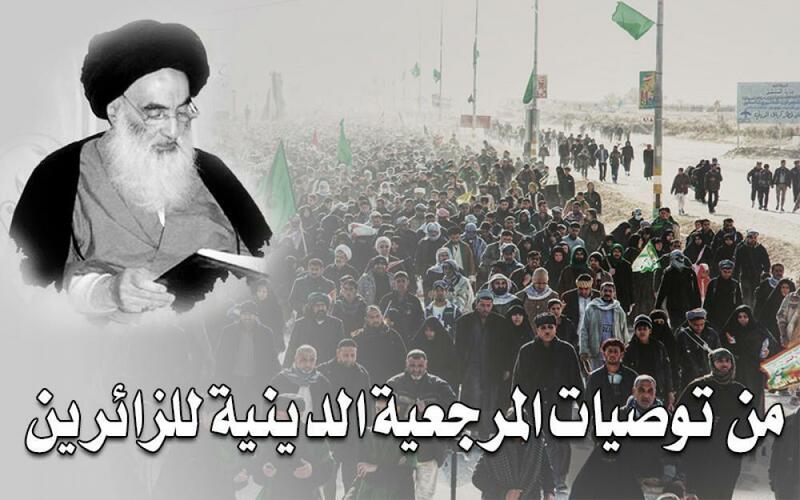 The recommendations of Sayed al-Sistani for the visitors of Imam Al-Hussayn (peace be upon him) in regard with prayer. "Fear Allah in relation to your prayers. As stated in the narration, the prayer is the pillar of your religion and the ascension of the believers, if it is accepted, all other acts will be accepted and if it is rejected, all other acts of worship will also be rejected. It is befitting for believers to perform their prayers on time because Allah loves those who rush to prayer as soon as they hear the call for it. It is not appropriate for a believer to engage in any other acts of worship in the prime for prayer because prayer is the best form of obedience to Allah. It is has been narrated from the Ahl Al-Bayt, peace be upon them, that they said: "Our intercession (with Allah) will not be won or attained by the person who depreciates or undervalues the prayer". And, about Imam Al-Hussayn's special attention to prayer on the Day of Ashura, it has been reported that he told his companion who reminded him of the prime time for the prayer: "You reminded me of prayer, may Allah include you amongst the observers of prayer and are always remembering Allah." And then, he performed prayer in the battlefield despite the rain of arrows on him and his companions. "